​​West Ham’s summer transfer business has seen a raft of new arrivals at the London Stadium ahead of the new season, with Lazio winger ​Felipe Anderson the latest addition to the Hammers’ squad in a club-record deal. 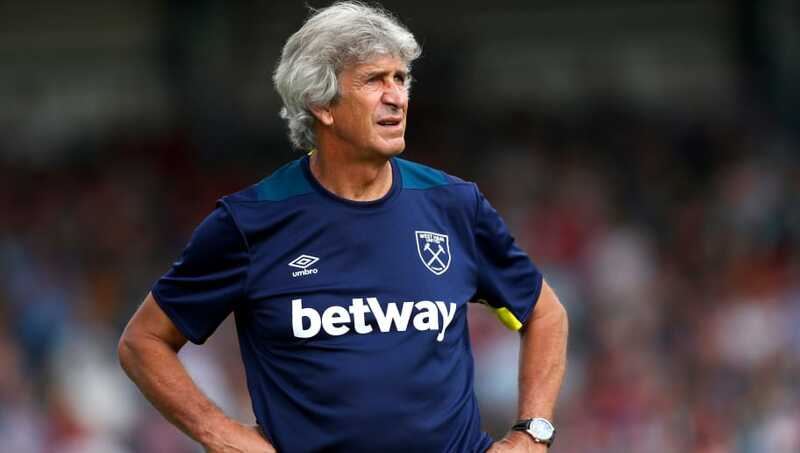 The attention may now be set to turn to outgoings for Manuel Pellegrini’s side, however, with reported outside interest in a number of West Ham stars. One of the players being linked with a move away from east London is young prospect ​Josh Cullen. ​Sky Sports’ live blog have reported that Blackburn Rovers and ​Preston North End are among the clubs to have had approaches for Cullen ‘knocked back’. The 22-year-old midfielder may find first team opportunities hard to come by under Pellegrini next season, particularly with the arrivals of Anderson and Jack Wilshere, but it seems that the Hammers will not part with Cullen easily. West Ham manager Manuel Pellegrini believes the signing of Felipe Anderson gives his team a "new dimension". Cullen has enjoyed productive loan spells away with ​Bolton Wanderers and Bradford City in recent years and has apparently impressed new manager Pellegrini, who succeeded David Moyes at the London Stadium earlier this summer. With a clear emphasis on heavy investment in new first team stars this summer, which has also seen the high-profile arrivals of Issa Diop from Toulouse and Andriy Yarmolenko from ​Borussia Dortmund, it seems apparent that Pellegrini will not be disregarding the young talent which is also at his disposal. Indeed, Cullen has apparently caught Pellegrini’s eye in training since the manager’s arrival at West Ham, and it is said that the Chilean will include Cullen in his plans for the upcoming season. With West Ham reportedly open to offers for Pedro Obiang and Cheikhou Kouyate this summer, Cullen may yet be involved in Pellegrini’s first-team operations to surprising and unprecedented levels in the ​Premier League next term.